Yum! 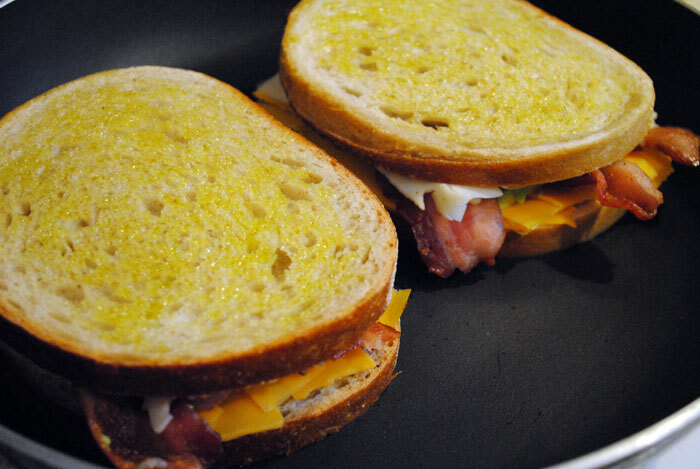 This cheesey, toasty sandwich was the PERFECT lunch on a snowy day. Because of it, I will never look at grilled cheese the same way again. 1. 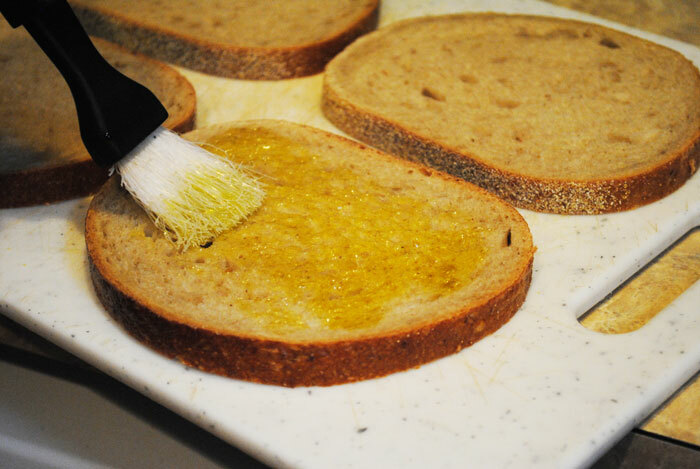 Lay out your slices of bread onto a clean work surface and brush the tops with 1/2 tsp olive oil. Once one side of every piece of bread is brushed, flip over half of the slices so that the oiled side is DOWN, and the other half will remain UP. 2. 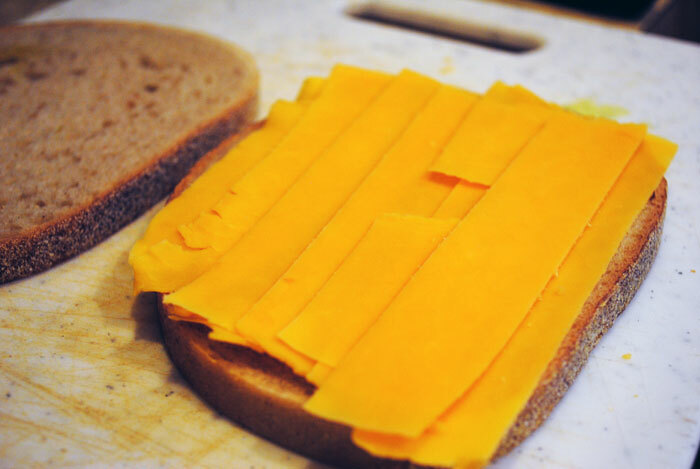 On the slices with the dry side up, start placing your cheddar cheese onto the bread, making sure to cover the entire slice to ensure cheesey goodness in every bite. 3. 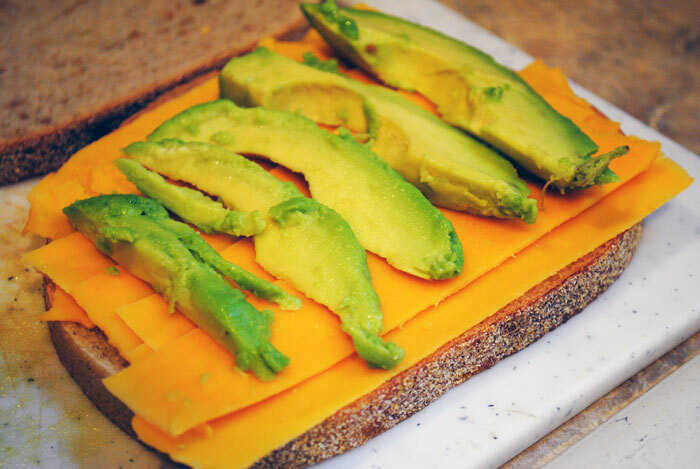 Then place your avocado slices on top of the cheddar cheese. 5. 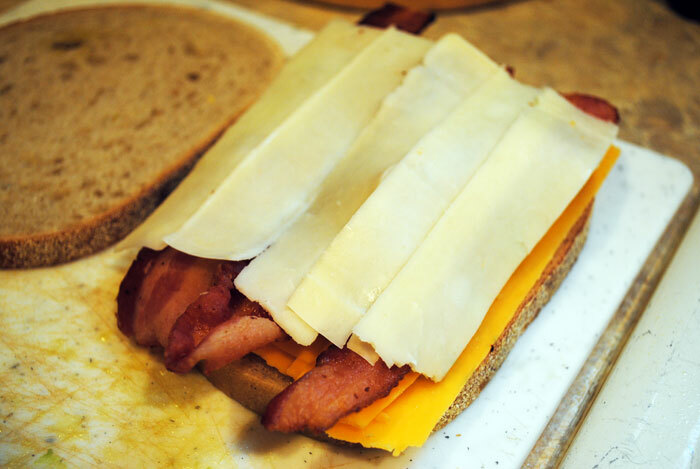 Now, finish off by adding your Monterey Jack cheese slices on top of the bacon. 6. 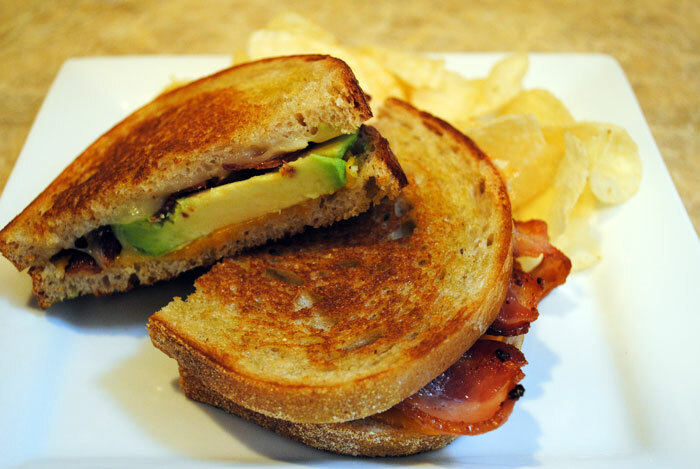 Place the top slice of bread onto the sandwich so that the olive oiled sides of the bread are facing outwards. 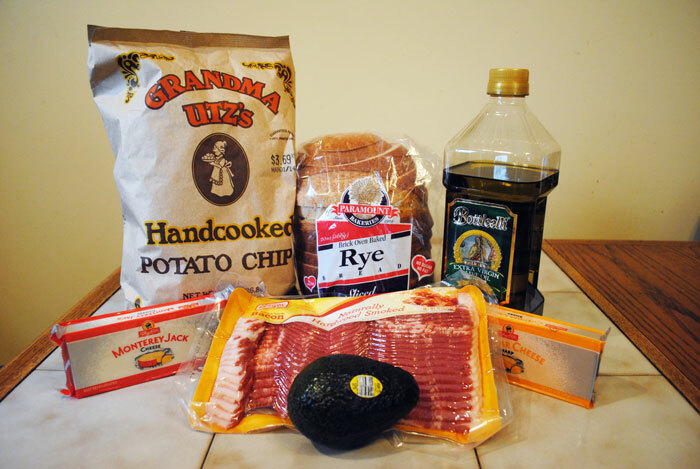 This will help the grilled cheese to get that nice golden brown color when you put it in the frying pan. 7. Heat a large fry pan or griddle over medium heat until hot. Place 2 of the sandwiches in the pan, reduce the heat to medium-low and cook until the undersides are golden brown, 3 to 4 minutes. Flip the sandwiches and brown the other side, 3 to 4 minutes more. Repeat with the remaining sandwiches. 8. Transfer the sandwiches to a cutting board and cut in half. 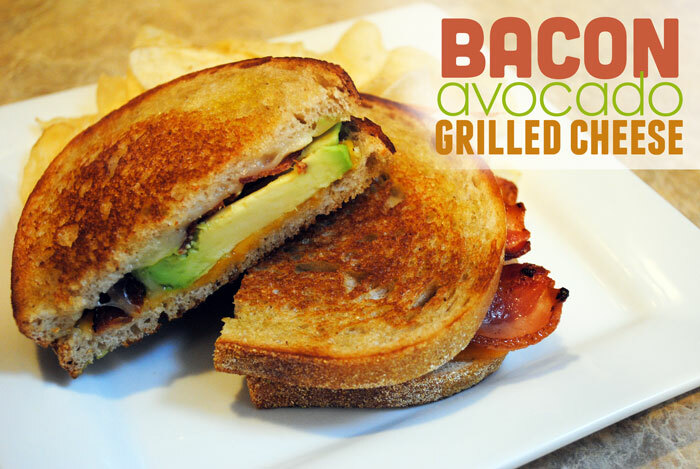 Serve immediately with your favorite type of chip snack on the side. 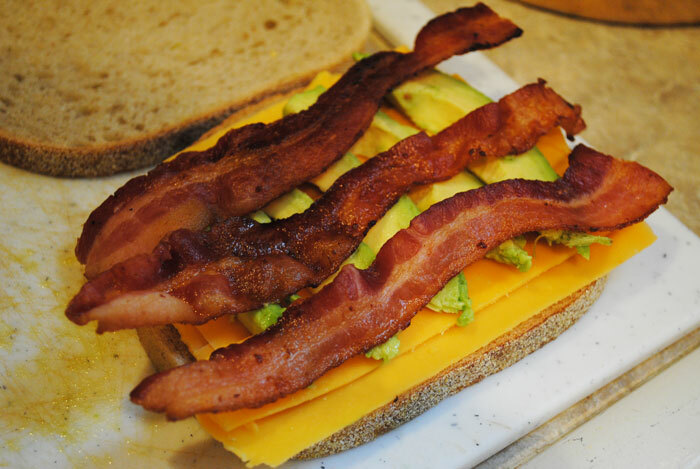 I absolutely loved the way this sandwich turned out, and I will most definitely be making it again soon. Next time, I would like to see how sourdough bread tastes with the sandwich instead of rye. 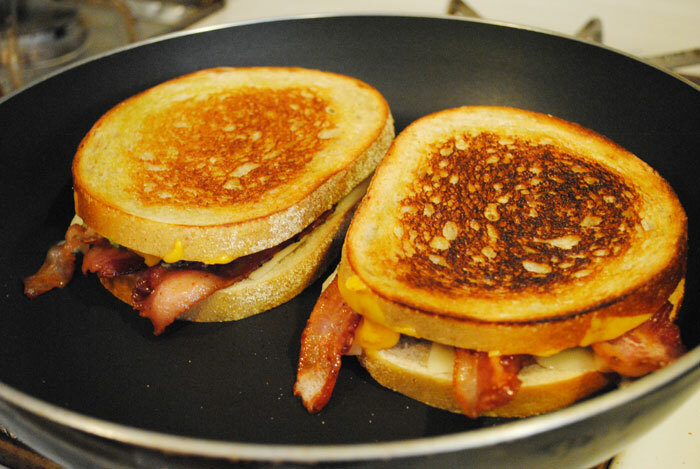 Also, I think I would heat the sandwiches a bit longer so that the cheese gets a little more gooey and melty. But all in all, this sandwich is a winner. Thank you! We try really hard to take the best pictures we can for the blog. I’m glad our efforts paid off.